Need a warm glow in an instant? 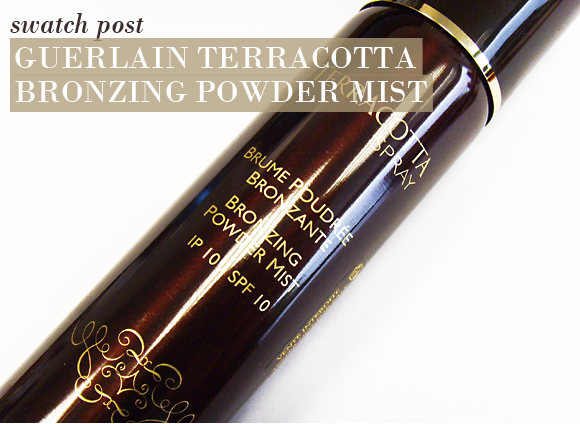 The Guerlain Terracotta Bronzing Powder Mist SPF10 is the ultimate tool for adding a natural-looking honeyed colour to the complexion without greasiness or heaviness, working to boost your tan in the summer, and add healthy radiance in the winter. The micro-fine powder is a genius way to wear wash-off tan – it blends in effortlessly, doesn’t transfer, and creates a uniform glow instantaneously. The micro-fine mist is delivered in an aerosol format for precision aim. Just close your eyes and spritz your way to a bronze complexion. 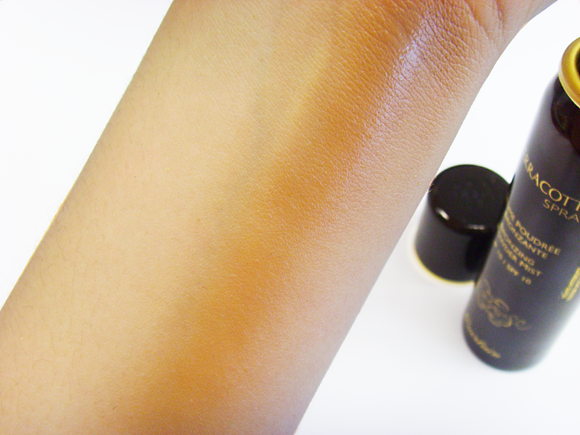 Unblended, the powder is intensely bronze and highly pigmented. For those who are in a rush and do not have time for numerous applications, this is ideal. The powder blends flawlessly for a deep all-over colour that can be build up or sheered out. 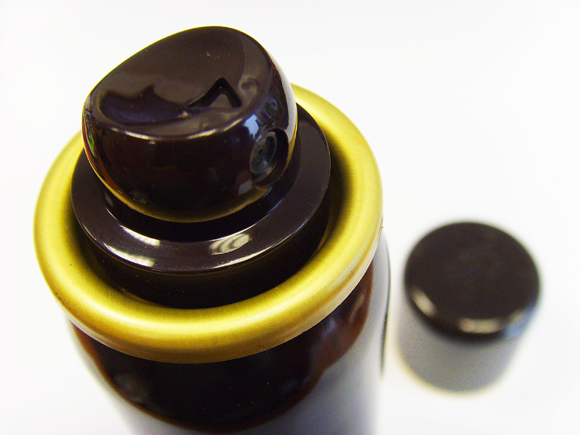 It dries to a matte finish that is long-lasting and comfortable, and other makeup can be immediately applied. I always get compliments wearing this, quite simply the best bronzer ever! 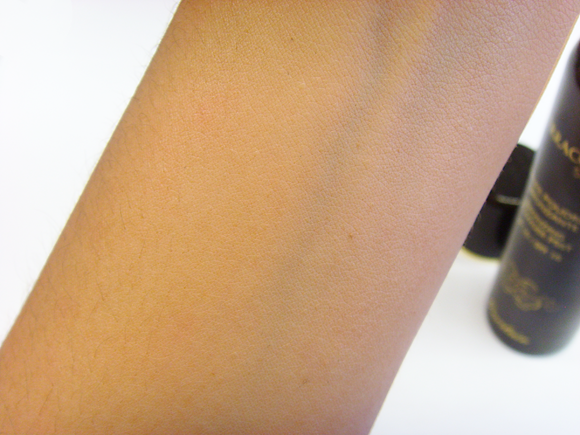 This entry was posted on Tuesday, July 31st, 2012 at 9:30 am and is filed under Make-up, Sun and Tanning, Swatches. You can follow any responses to this entry through the RSS 2.0 feed. You can skip to the end and leave a response. Pinging is currently not allowed.